When we put a bid on our house, we weren’t thinking about the floors. Let me rephrase. We were trying not to think about the floors. 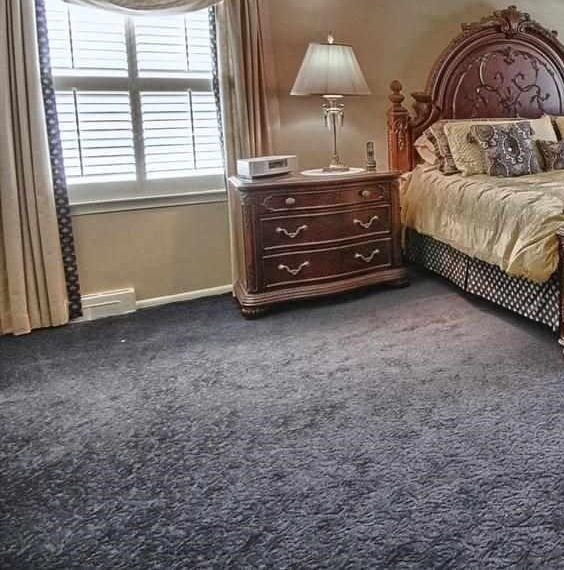 I asked our realtor if she could find out what was underneath the upstairs carpeting. Without hesitation, she said there was no way there was hardwood. 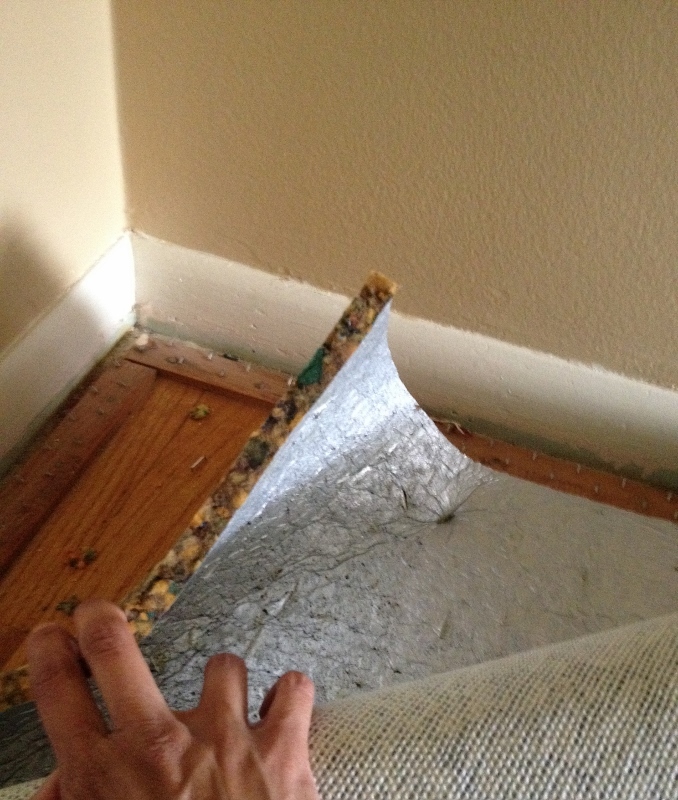 She was quite confident that when we lifted up the carpeting, we’d find plywood, typical of homes built in the 1960s. But our home wasn’t built in the 1960s, it was built in 1960. This is what the little voice inside my head said. So I held out hope. When the sale went through, we didn’t have possession of the house right away, as the owners requested a rent-back to give them time to solidify the purchase of their condo. About a month later, we finally had a chance to get inside and look around. And to put an end to the hardwood floor question. If you’re anything like me, you love a good home renovation show (my personal favorite, Rehab Addict). Which means you’ve seen the episode where the camera follows the host to (insert room here), and zooms in on the filthy, stained and/or hideously dated carpeting. 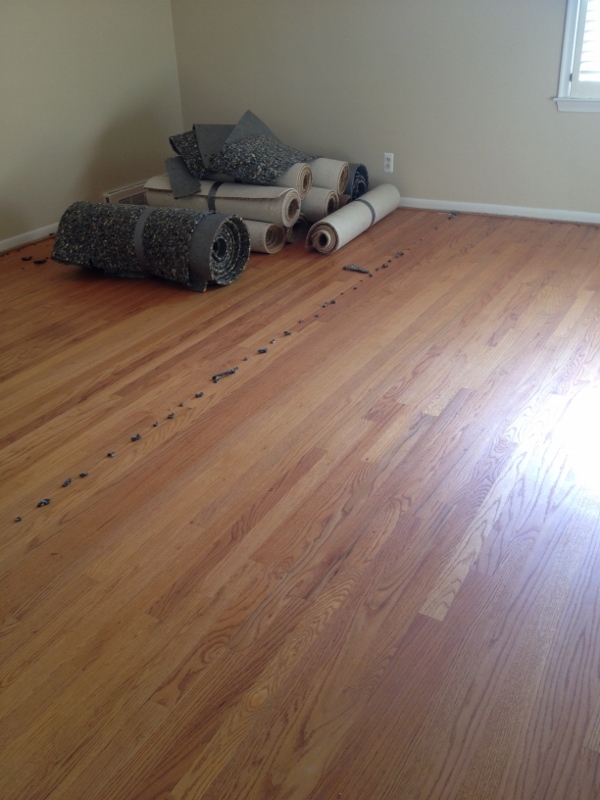 We then watch as the host reaches down to pull up the carpet and reveal what’s underneath and….oh my goodness, original hardwood floors, can you believe it!? So we had oak floors. Now what? Our first thought was to find someone to come out and sand and stain. Easy peasy. Or not. The one place that was recommended to me (by several professionals. All these home improvement guys know each other), would be happy to do the job. In November. For $7100. Seeing as we weren’t interested in waiting three months to move in, nor had we anticipated having to pay that much, we decided to go a different route. I called pretty much all the hardwood floor people in Grosse Pointe Blue Book, requesting a quote for cleaning and sealing (no sanding, no staining) of our floors. Three people got back to me (seriously?) and one of them was Javier (pronounced Xavier. That’s what he said. I do what I’m told) of Exotic Floors & Designs. Like I’ve done with my other trade interviews, I started by asking Javier how he got into the business. About 19 years ago, he was working for an environmental company (didn’t say what he did and of course me being the amateur interviewer that I am, failed to ask) and although it paid well, he was due for a raise and had a small baby at home. He asked for that raise, they said no, and he decided to look for work elsewhere. Here’s where my facts get a little sketchy (see what happens when you wait too long to try to decipher your very scribbley notes!?). I do know he is mostly self-taught. In order to learn the techniques of hardwood flooring trade, he bought a video and watched it about 1000 times (for real). He was honest with his first client about his inexperience, and said he would give them a great price if they gave him a chance. Things obviously worked out (last year, Javier worked with that same client on another job). 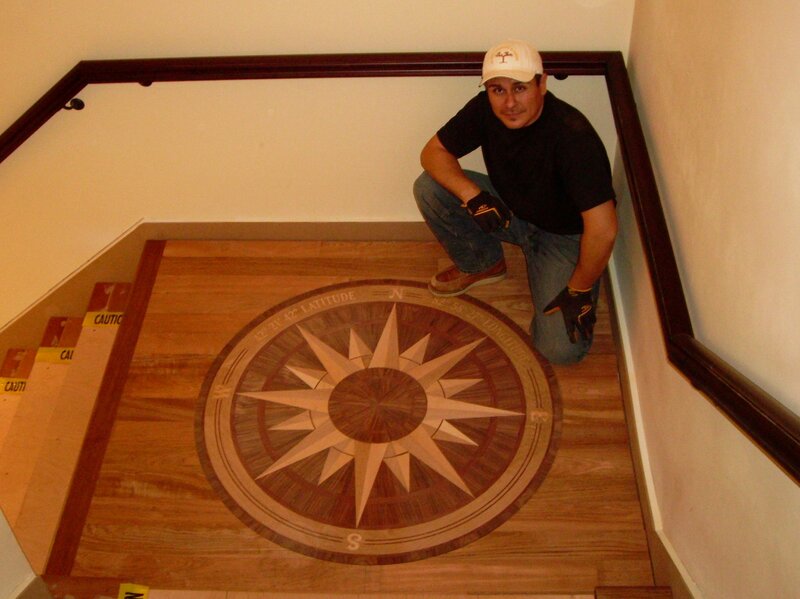 In 1997, he started Exotic Floors & Design, and at one point, even had a storefront on Mack (a main thoroughfare that separates Grosse Pointe from Detroit) before the building was sold. As his company name implies, Javier specializes in exotic woods (he was approached by a client who owned a lumber company at some point in his career, and that’s how he got turned on to the exotics). What are examples of exotics? Bamboo and African woods, like the deep red padauk (which can be so poisonous that it can’t be sanded in the home). What trends is he seeing? He still does a lot of designs – borders and inlays. And says the Grosse Pointe area continues to be traditional and clients here prefer an authentic and/or antique look, whereas newer more fast-paced communities like Birmingham (Detroit suburb) prefer flashier styles. Like what? Jet black floors. I’m sorry… black floors? Yep, finished to where they look like a lacquered piece of furniture. I get the impression he thinks the effect is kind of cool. Perhaps it is. Javier and one of his designs (not our house). Our floors look amazing, considering we didn’t have a huge budget. Javier’s guess is that they were never used, never walked on (can you believe it?). 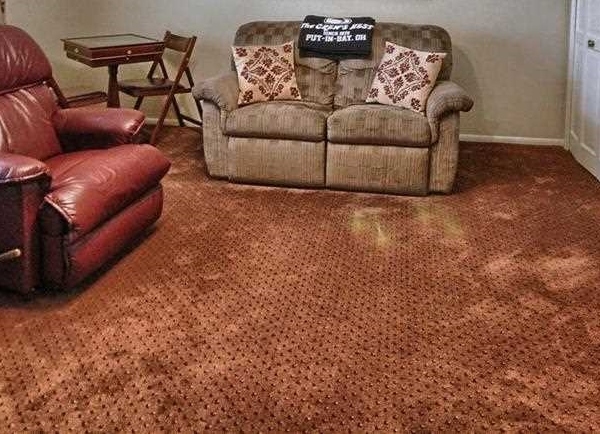 There are some bad scratch marks where razor blades were used to install carpet, and several water marks that won’t come out unless we sand and stain. But that’s okay with us, we feel fortunate just to have them. They remind us a little of our old place (and I want to add “back home” but I’m trying to stop doing that) in San Francisco and I find myself wondering how long it will take for this place to feel like home. As always, I’ll keep you posted. This entry was posted in Grosse Pointe, Moving and tagged Carpet, Floors, Hardwood Floors, Home Decor, Home Renovation, Interview, Moving, Remodel, Renovation. Bookmark the permalink. Hardwood floors! Yea!!! Get out the fuzzy house slippers for winter! 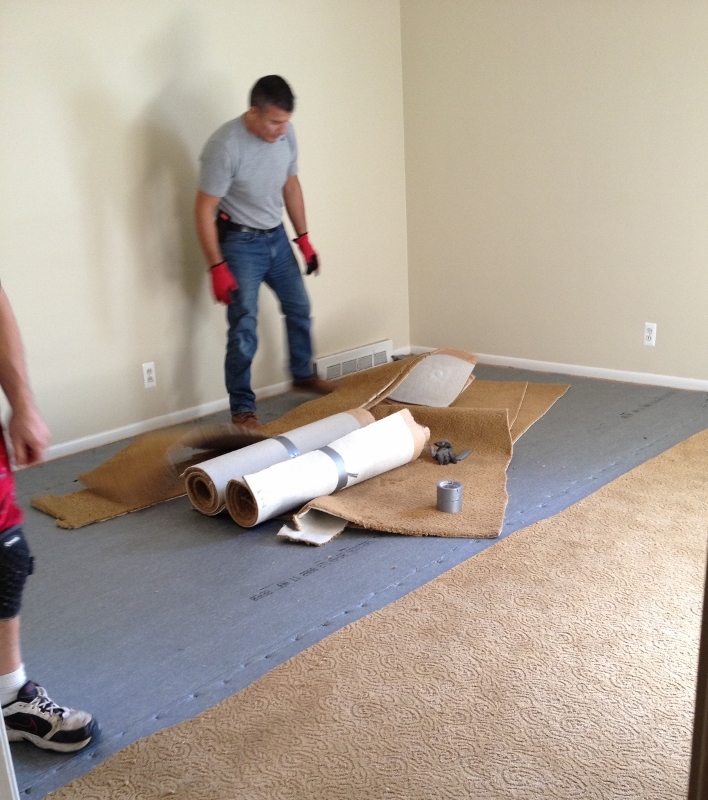 Goodbye nasty carpet! Woo, hoo!!!! I never understand why people cover hardwood floors. And is it me or does Javier look massively studly in his “look at my work” picture? Hehe (re: your massively studly comment). I’d love to go to a party where there are black floors. It seems so Liberace. Grey, however, much different. I love grey.